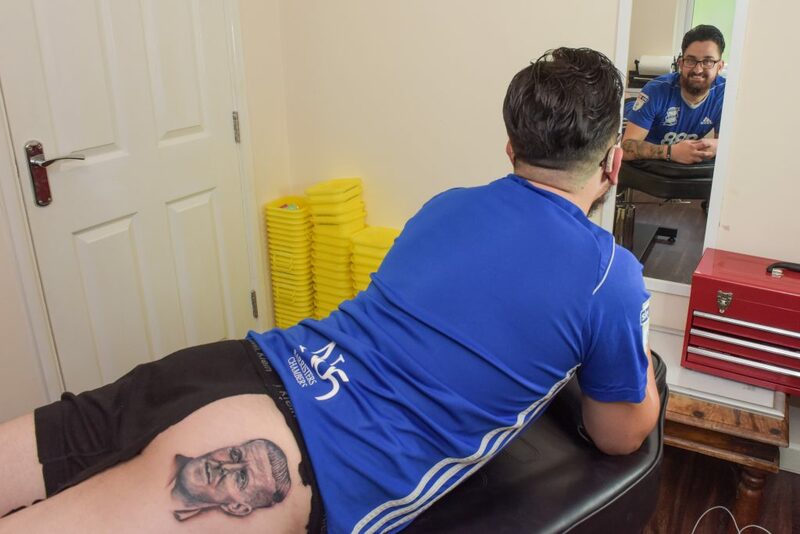 A football fan has remained true to his word by having the manager of his beloved football teams faced tattoed on his bum after the team managed to stay in the championship league. 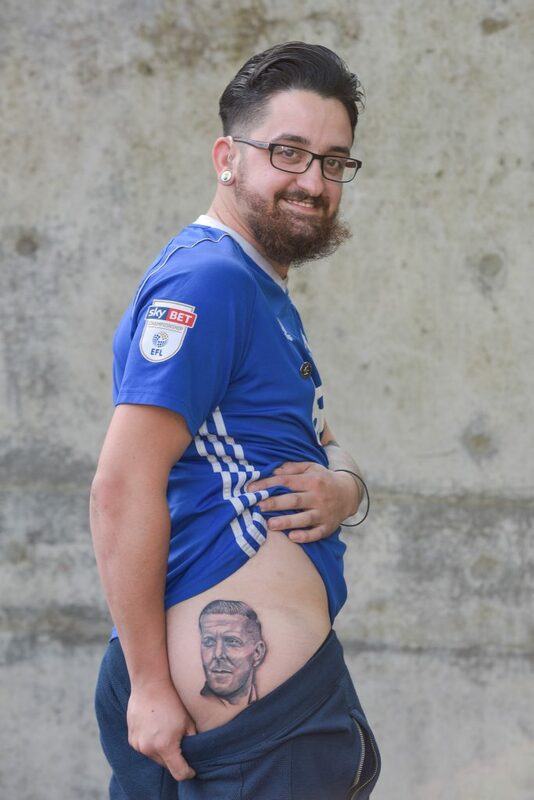 Kevin Tomlinson, 29, will have a permanent reminder of the Birmingham City manager, Gary Monk, on his bottom after the team avoided relegation, beating Fulham, last Sunday. The warehouse worker from, Chelmsley Wood, Birmingham, promised friends he would get the tattoo on his rear but never dreamed that the manager himself would contribute £80 towards the cost. Dad-of-three, Kevin, said: “We had played QPR and lost again, so I wasn’t feeling too confident, Fulham had also been unbeaten since Christmas. 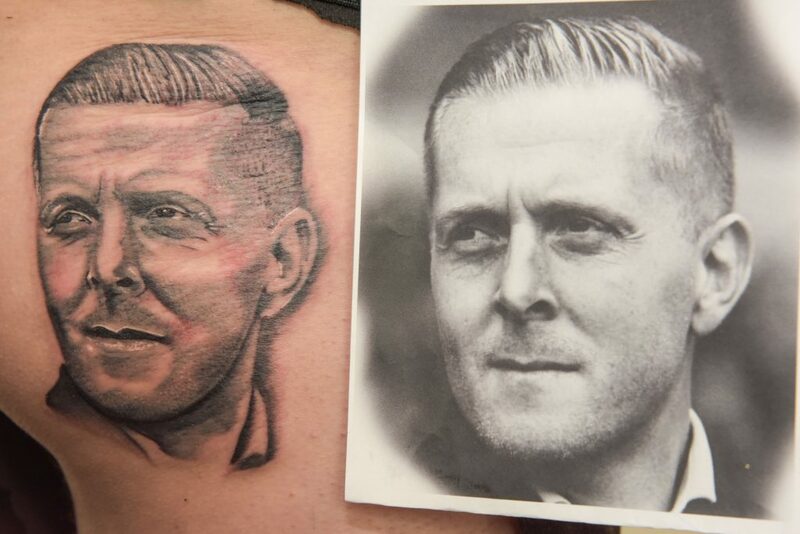 “I told everyone that if we managed to stay up that I would get Gary Monk’s face tattoed on my bum, I think I said it without thinking I would have to actually do it. “The pain wasn’t too bad but I’m a little numb from lying down for three and a half hours. “I’ll be showing it to my mates down the pub first. They have been sending me messages all day. “When it came to the match I had actually forgotten about it as I was just so ecstatic that we had won. “It wasn’t until friends started posting on social media about it, that I thought I’m actually going to have to do this. Kevin’s friends set up a GoFundMe page in order to raise the cash for the art piece but were all completely shocked when Gar Monk himself donated money to the cause. Kevin said: “I wasn’t expecting the manager to get involved. “I have never done anything like but it has gotten so big. “I have been a fan all my life, attending every match as a season ticket holder, so for me, it’s just a reminder of our battle to survive. The GoFundMe page has raised £395 and any money left over will be donated to the Justice 4 the 21 campaign, to help those affected by the Birmingham pub bombings. Kevin’s pregnant partner, Amanda, joined Kevin for his tattoo sitting but at first wasn’t too impressed with his lad behaviour. Kevin said: “She was annoyed at first and then realised how big the whole thing had got. “She thinks the tattoo is great and looks really good.